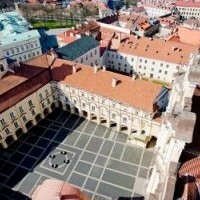 The top position of “Veidas” magazine’s university ranking once again goes to the Vilnius University (VU), which has never been outscored, lrytas.lt reported on 21 May.Vytautas Magnus University (VMU) is in the second place, Mykolas Romeris University in the third, Kaunas University of Technology (KTU) is the fourth and Vilnius Gediminas Technical University is the fifth. This year, for the first time the rank included both state and private universities. The highest ranking among private universities belongs to the ISM University, which is the sixth in the table. Compared to last year’s ranking, the first top five remains unchanged, but the positions of VMU and KTU interchanged. 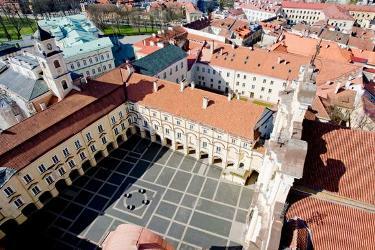 Vytautas Magnus University from the former fourth position rose to the second, while Kaunas University of Technology dropped from the second to the fourth. Universities are ranked according to various criteria – diversity of study programmes, internationalization, demand in the labor market, the number of research papers and assessment by students.